scavengers, while the poet of the Odyssey reveals a modern sympathy for Odysseus's faithful old hound, Argos. One thing, however, is certain: both epics were created without writing sources. Between the decline of Mycenaean and the emergence of classical Greek civilizations—which is to say, from the late twelfth to the mid-eighth century B.C.E. —the inhabitants of the Greek lands had not yet acquired from the easternmost shore of the Mediterranean the familiarity with Phoenician alphabetic writing that would lead to classical Greek literacy (and in turn, Etruscan, Roman, and modern European literacy). Therefore it could be concluded that the epics must have been created either before the end of the eighth century B.C.E. or so shortly afterwards that the use of alphabetic writing had not yet been developed sufficiently to record long pieces of writing. It is this illiterate (unable to read or write) environment that explains the absence of all historical record of the author's two great epics. Later Greek times credited Homer with the composition of a group of comparatively short "hymns" (songs of praise) addressed to various gods, of which twenty-three have survived. With a closer look, however, only one or two of these, at most, can be the work of the poet of the two great epics. The epic "The Battle of the Frogs and Mice" has been preserved but adds nothing to Homer's reputation. 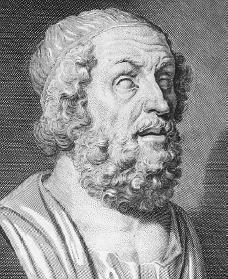 Several other epic poems of considerable length— The Cypria, The Little Iliad, The Phocais, The Thebais, and The Capture of Oichalia —were also credited to Homer in classical times. I like the writers honesty and quest for truth. His information is fresh in comparison to others I have read on Homer.The comments regarding the settings described by whoever wrote the two epics sheds new light on the debate of Homer's existence and authorship.